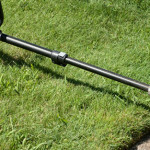 Cordless weed eaters have become more common over the last decade because people trimming their lawns got tired of dragging a cord around. Cords are never long enough, electrical outlets are not always outside, so they must be plugged in inside the house through a door or window that is a pain to do. Most garages have an outlet, but you usually want to keep your door closed to keep people from seeing inside and stealing your things. The time has come where you’re tired of mowing way to close to flowers cutting them down, and your hands are killing you from using lawn shears. You’ve finally decided to buy a weed eater but cannot decide on gasoline or battery powered ones. To demystify this for you with the hundreds of types on the market, the information here should give you a good idea of where to start. Be sure to check your budget because some can be pricey. With the gasoline driven trimmers you will need to know if you want 2-cycle or 4-cycle engines. It’s not as hard as you think. You will need to know if you want a curved or straight shaft. Will the weight of it cause neck or back problems? You will need to hold it to decide. Does the area around your house have lots of shade? 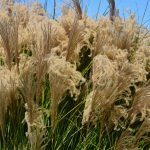 If it does, you will only mow and trim every few weeks during the heavy growing months. If your space is covered with furniture, gardens, and ornaments that a lawn mower can’t get near and it gets lots of sun, then you should consider a more heavy-duty weed eater. Which is Best for Your Needs: Gasoline or Battery? Gasoline—Weed eaters powered by gasoline are large and strong. 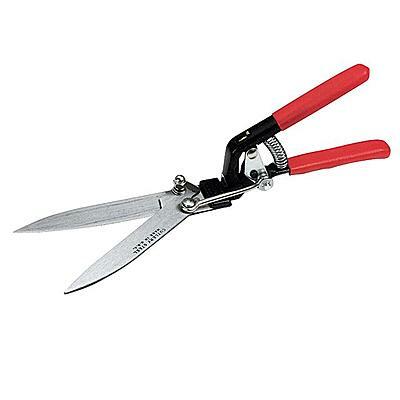 These beasts can cut heavy thick plants, such as those weeds on the edge or that keep coming up each year. For smaller grassy type cutting, check the ones with 25 to 30 cc (cubic centimeters) displacement. If you have a large yard, maybe a half acre or more, you will need a more robust heavy-duty 30 to 40 cc engine displacement. A significant feature is to check for its ability at being adjustable. 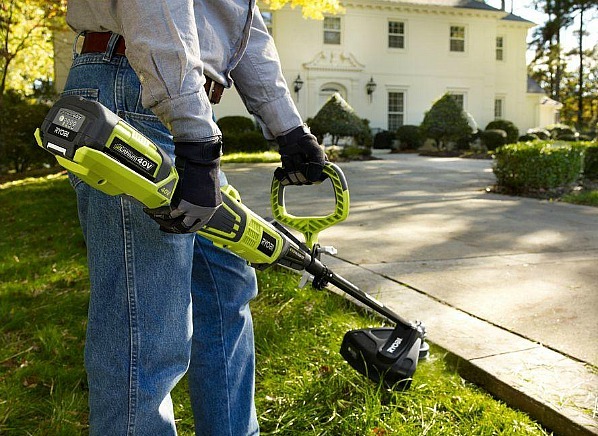 This would be to take into account that it can be adjusted to be used as an edger, trimmer, or grass trimmer and some have even more functions. These will have safety features, and the height can be adapted to different situations and your height. You can select foam handles and check out other features for your needs. Another convenient thing to check for is that the model of your dreams has an AFP (automatic feed spool). Cost is going to be a factor when you want all the bells and whistles for a gasoline powered model. They can run from $300 and up. Battery—Weed eaters are ideal for a smaller space and what you want to do. 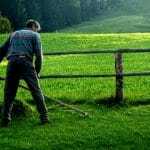 It will trim the edges of the lawn and chop down spindly thinner shorter weeds. You won’t have to drag an extension cord, and you won’t have to lug around a hefty gasoline driven model. 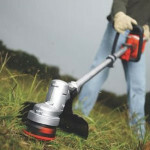 This type of weed eater runs from $99 to $200 give or take for options you might have your eye on. Some models use a 20-Volt lithium ion battery that will run for about an hour. Some units use 2 batteries and they weigh about 8 pounds. 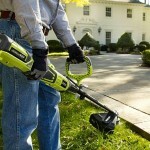 Other models use 32-Volt lithium batteries and can do trimming, mowing, and edging all in one unit. No tools are needed to change the function usually taking a few seconds to do. These run for a longer time with large cutting diameters. They usually have a 90-degree tilting positon with telescopic height adjustments. 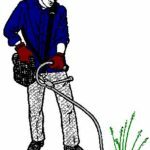 With these guidelines you should be able to buy a weed eater that you enjoy using and doesn’t break your back or bank account.